It is a requirement that we see all relevant test certificates for this equipiment. Would you like to upload these now? All food retailers are to be available for inspection prior to the event on the request of North Kesteven Distrct Council, and at any time during the event. 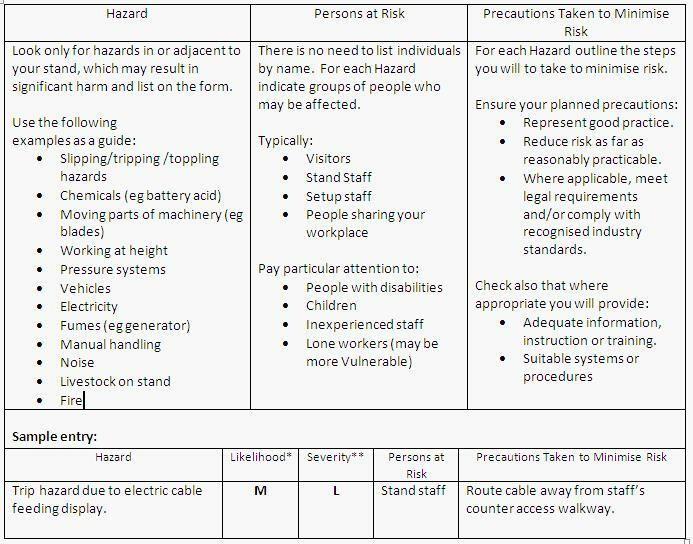 Using the guidelines shown below, please consider what risks there are to those setting up trade stands and to visitors, staff and members of the public during the Show.